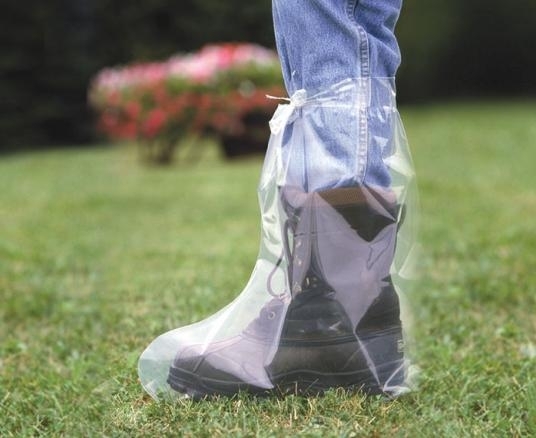 Over-the-shoe clear polyethylene plastic boot covers are easy to slip on or off. They can be worn with or without a handy tie feature. 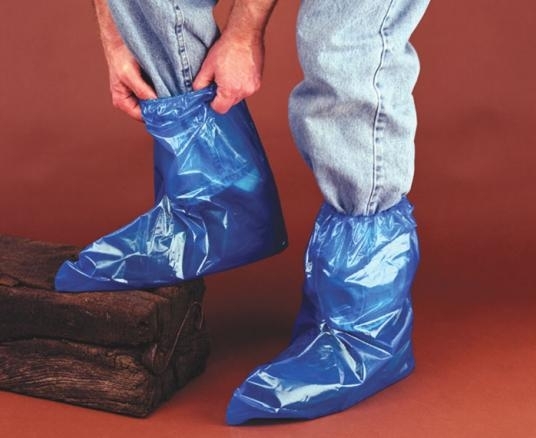 The boots should be worn once and discard-ed to prevent unwanted contamination from one facility to another. Alternative means of packaging and colors are available by special order, please inquire. Packaged 50 or 100 boots per box, 10 boxes per case. Fits men’s shoe size up to 10. 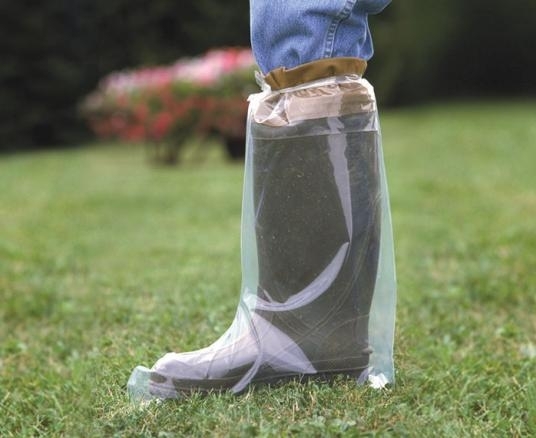 Over-the-shoe clear polyethylene plastic boot covers are easy to slip on or off. They can be worn with or without a handy tie feature. 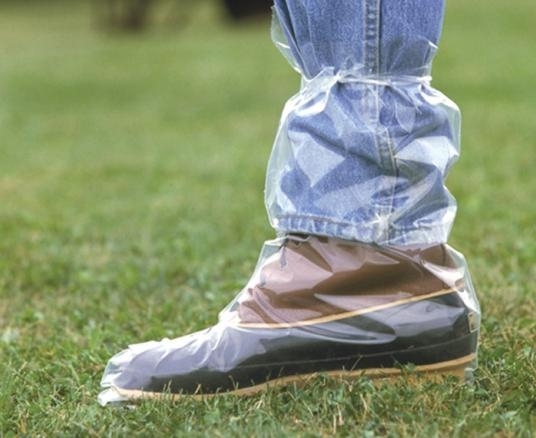 The boots should be worn once and discarded to prevent unwanted contamination from one facility to another. 21” (53.34 cm) high. Fits men’s shoe size up to 12. 21” (53.34 cm) high. Fits men’s shoe size up to 16. Convenient elastic-topped boots with a lightly embossed texture. Fits men’s shoe size up to 12.